Polaris Global’s personal leadership development program, Beyond Freedom Evolution, leads you through many stages and plans for success. One of the most important lessons happened for me early on in my BFE study – and that was the affect that the people you surround yourself with can have on you. Sometimes the hardest thing is to see clearly when ‘stoppers’ surround you. What BFE taught me was to take a good look at the people who were around me every day. 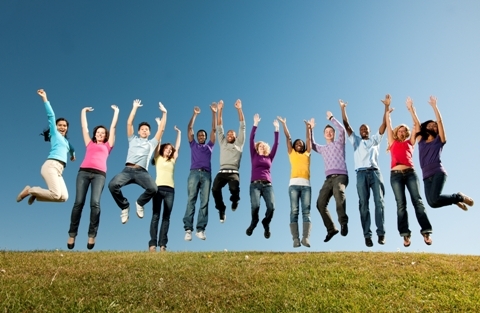 Are they happy, positive people who make healthy life choices? Or energy suckers who drain the force from the room and bring you down? Surrounding yourself with positive energy is not only good for our mentality and success but also our physical well-being. Research has shown that people are inspired to make good choices when they are around others doing the same. Seeing other people making important decisions and achieving success can be a hugely powerful motivator. And there is no greater example of that than Polaris Global and it’s safe harbor community. It’s contagious! And I’d much rather be around positive people continually lifting me up, promoting my self confidence, than having to continually prove myself over and over to the same people dragging me down. Polaris Global – you’ve created an invaluable personal development product, and an unparalleled business community – thanks for lifting me up! There’s no ceiling here… only sky. Amy I am with you, I love our Polaris Global community and Beyond Freedom Evolution has shifted my life in incredible ways. I am so grateful to have attacked this amazing opportunity into my life and am delighted to be raising my potential every day. Love it Amy! This is what excites me about this Polaris Global community. The enthusiasm we get from working with Beyond Freedom Evolution….It’s definitely contagious! Love The Vibes…! Love this Amy and absolutely agree, surrounding yourself with the right people makes a big difference to your overall success. I love being connected to the Polaris Global community who consistently inspire and motivated me to strive for my goals and realize my true potential. I love Polaris Global for so many reasons. If I am talking to someone in the community or listening to one of our training calls, I am always feeling elevated and my vibration is always increased. Totally passing around the good vibes, thanks guys! Being a part of the Polaris Global positive community has impacted my life in so many wonderful ways! Great Post Amy, I too am so grateful to surround myself with a community of people that see and honour our future selves. Our training calls that keep me tapped into the high energy are one of the aspects I value most about our Polaris Global Opportunity, I would not be who I am today if not for Beyond Freedom Evolution and our safe harbour community. What a brilliant blog Amy, I just love the Polaris Global Community and what it offers to us. Couldn’t agree more Amy. I feel exactly the same way. So thankful for finding this community and now having a plan to get out of my rut. So true Amy. We have such an amazing community here with Polaris Global. Very grateful to be a part of it.